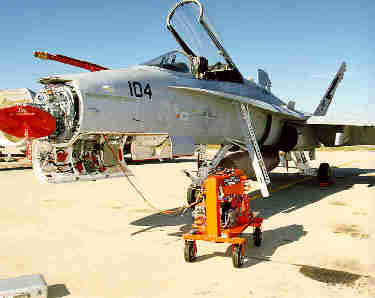 CNS Systems completed a subcontract to the U.S. Navy's Naval Air Warfare Center Aircraft Division (NAWCAD) as part of their "Federal Aviation's Surveillance System for T&E Ranges" (FASSTER) program which culminated in a successful flight test and demonstration at the Patuxent River, MD test range in October, 1997. The Goals of the FASSTER program are to demonstrate Time-Space-Position Information (TSPI) and safety surveillance capabilities at DoD T&E ranges utilizing an evolving Civil Aeronautical Data Link. This project involves the evaluation of a new high-speed two-way data link to provide a means of transporting GPS and INS telemetry data from fighter aircraft to ground controllers at rates up to five times per second for each aircraft. CNS Systems developed a customized version of its CNS Ground station (CNSGS) product for this project. The CNSGS served as the ground communications controller and interface unit. It was responsible for providing the communications interface between the prototype 19.2Kbps high speed VHF STDMA data radios and the range safety analysis and display systems. 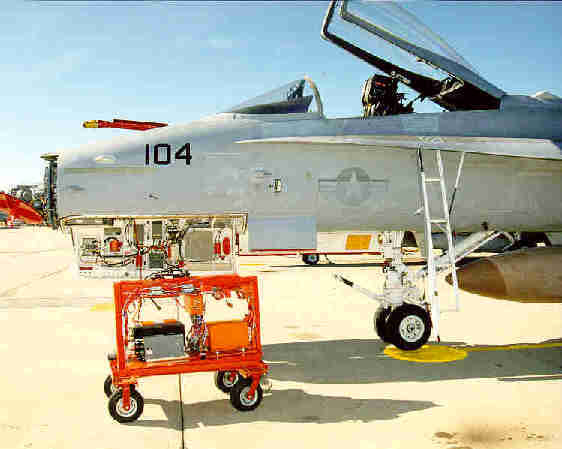 CNS Systems wrote new firmware for the STDMA transponders to interface with the F/A-18C's on-board Inertial Navigation System and provide new binary mode data transmission capabilities. 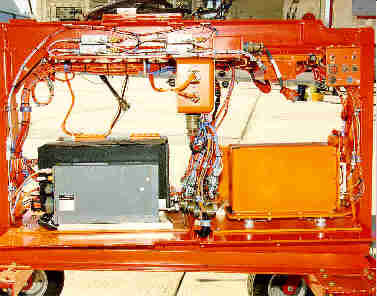 STDMA transponder on integration cart a few days before final installation into this F/A-18C aircraft. The STDMA transponder performed very well during high dynamic testing. 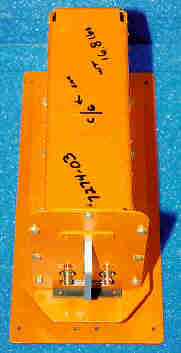 During dynamic tests over 4Gs, the GPS receiver would loose lock but the transponder would continue to send INS data messages at a rate of five messages per second, without a hitch. 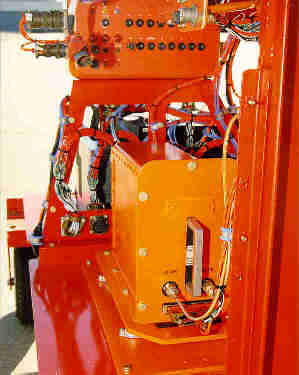 The STDMA transponder was installed in a special housing designed to withstand the extreme forces to be expected during this flight test.